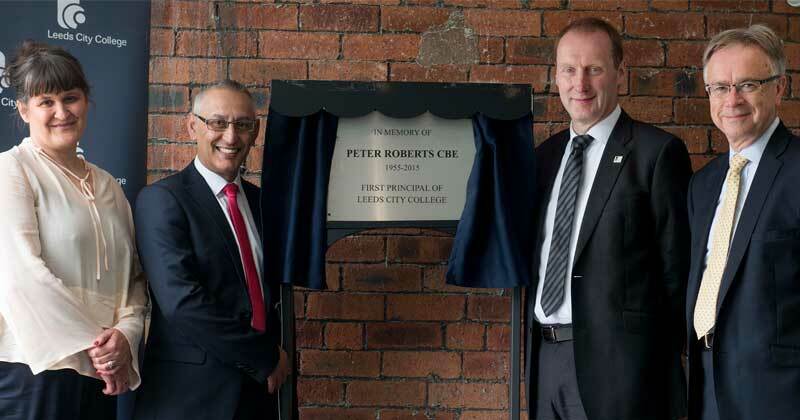 Friends and colleagues of former Leeds City College and Stockport College principal Peter Roberts CBE came together for the unveiling of a plaque in his memory. The ceremony took place at the college’s Printworks Campus on Saturday (July 30) to remember the widely-respected FE figure, who passed away on New Year’s Eve aged 60. The father-of-two was the first principal of Leeds City College and retired from there at the end of September last year after six years in the post. Mr Roberts was previously in charge at Stockport College for seven years, before joining Leeds in 2009, and was chair of the 157 Group from 2012 to 2014. Among the guests at the plaque unveiling were current principal of Leeds City College, Colin Booth OBE, former governor Neil McLean CBE, chair of governors, Dr Shaid Mahmood, and former executive assistant to Peter Roberts, Sara Porter. Dr Mahmood made a poignant speech, during which he said: “What struck me most about Peter was his humility and compassion. “His passion for learning and making a real positive difference to the lives of others became a powerful driving force for him. The plaque will now be on display in the main boardroom at the Printworks Campus. 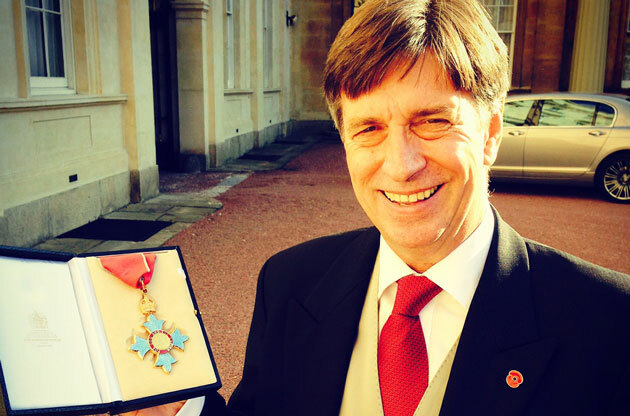 Mr Roberts collected a CBE for services to FE in October last year. He told FE Week in a profile interview published in January 2013 how his career in education started in the late 1970s, teaching PE and economics at West Derby comprehensive in Liverpool. Sector figures paid warm tribute to Mr Roberts, stressing his passion for FE, success as a leader, kindness, and sense of humour, in January. Among them was Sarah Robinson OBE, chair of the 157 Group, who said: “Peter chaired the 157 Group from 2012 to 2014 and was never afraid to challenge, provoke thought and influence change.